Laid out by the British Raj, the Indian capital is a striking modern metropolis, the grand avenues and stately buildings of New Delhi are rich with history and culture, the Old Delhi has barely changed in 1000 years! Bundi is a town in the Hadoti region of Rajasthan. It is of particular architectural note for its ornate forts, palaces, and stepwell reservoirs known as baoris. 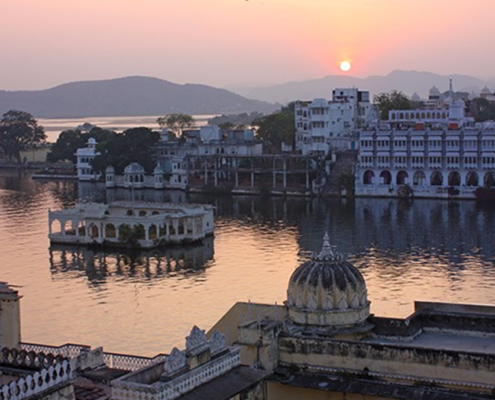 Udaipur, was Founded by Maharani Udai Singh II in 1559, and is beautifully set around a series of artificial lakes and lavish royal residences. based in Thar Desert of the 15th-century Mehrangarh Fort is a former palace that’s now a museum, Set on on a rocky outcrop overlooking this magnificent ancient city, where many buildings are painted the city’s iconic shade of blue. Depart out the Golden sands of the Thar desert to witness this amazing desert town.